Ginger (Zingiber officinale) is an herb that is native to southeast Asia and has been used as a food additive for more than 4,000 years. As a medicinal supplement, it has been in use for more than 2,500 years. It is the "root" of the ginger plant (which is actually not a true root but is instead a rhizome) that is most useful for medicine and for flavoring food. 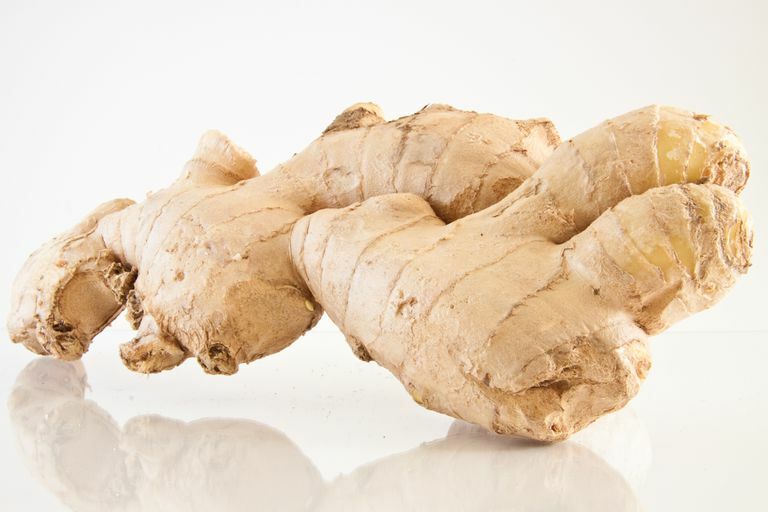 Compounds in the ginger rhizome, called oleoresins, have antimicrobial and antioxidant properties. Ginger has also been shown to increase gastric motility: the amount of time it takes for the stomach to empty its contents. Ginger is probably most famous for its anti-nausea properties. It has been studied for use in treating nausea after surgery and after chemotherapy and was found to be effective. Similarly, ginger may also be used to treat motion sickness and in reducing flatulence (gas). Ginger comes in many forms: powder, crystal, and fresh root. It may be taken as a supplement, in beverages (tea, ginger ale, ginger beer), as a food flavoring, or simply eaten. However, for therapeutic uses (such as treating nausea from chemotherapy), a supplement is probably easier to use because it's clear how much ginger is being taken. When ginger is in food or tea, it's not known how much of it is being used, or if it's enough (or more than is needed) to treat the condition it's being taken for. For relief of nausea, ginger is generally taken in doses of 200 mg every 4 hours. For relief of flatulence, ginger is generally taken in doses of 250 to 500 mg 2 to 3 times a day. Ginger is generally thought of as safe for use during pregnancy. Guidelines recommend that ginger is used in moderate amounts (in doses of 250 mg taken 4 times a day) during the first trimester. However, always discuss the use of ginger supplements (or any supplements) during pregnancy with a physician. There are some situations where ginger supplements should be stopped. Ginger may increase the risk of bleeding during surgery, and therefore it should be discontinued before any surgical procedure. Tell the doctor about any ginger that was eaten or taken via supplements in the period prior to surgery. Ginger may also be a problem for people with a history of gallstones. In large amounts, ginger might increase the flow of bile. If there are any stones present, they could block a bile duct. This potential complication is somewhat controversial, which is why it is important that those with a history of gallstones discuss the use of ginger with a doctor. Ginger might be recommended to treat heartburn, but some people report that they actually experience heartburn after taking ginger, although this is not common. Discontinue using ginger supplements if it causes heartburn. Aside from the instances mentioned above, ginger is generally thought to be safe when taken in the proper doses. Taking large doses of ginger (or any supplement) is not recommended. Stop using ginger if there are any unexpected side effects after taking it. Any supplement, including ginger, should be mentioned to a doctor in order to ensure it doesn't interact with any other medications or treatments. Hu M-L, Rayner CK, Wu K-L, et al. "Effect of ginger on gastric motility and symptoms of functional dyspepsia." World Journal of Gastroenterology : WJG. 2011;17:105-110. Memorial Sloan-Kettering Cancer Center. "Ginger." Sloan-Kettering Institute 25 Sep 2013. National Center for Complementary and Alternative Medicine. "Ginger.” National Institutes of Health Apr 2012. Natural Standard Research Collaboration. "Ginger (Zingiber officinale Roscoe)." Natural Standard 25 Jun 2013. University of Texas at Austin, School of Nursing, Family Nurse Practitioner Program. "Evaluation and management of nausea and vomiting in early pregnancy (less than or equal to 20 weeks gestation)." University of Texas at Austin, School of Nursing. May 2002.